These Chocolate Almond Butter Brownies were inspired by you! I’ve seen many requests for cakey brownies (as opposed to fudgy, gooey ones), and this recipe is my attempt to deliver just that! Chocolate Almond Butter Brownies can also be made dairy-free by using coconut oil instead of butter! This gluten-free, sugar-free, low carb brownie is a delicious Trim Healthy Mama S treat, and it couldn’t possibly be easier to make! Stick everything in a bowl (or blender), and beat it until smooth. Yep, that’s all there’s to it! This is a great recipe to serve someone who doesn’t (yet) eat according to the Trim Healthy Mama plan. You can’t even tell these Chocolate Almond Butter Brownies are good for you! My kids love them plain, and I enjoy them on occasion for breakfast with berries. Chocolate Almond Butter Brownies are the answer to your cravings for a low-carb, cakey brownie! This one's got a great, chewy outside and cakey middle. You can even make it dairy-free by using coconut oil instead of butter! Gluten-free and keto. A THM S.
Preheat oven to 350 F. Lightly grease an 8x8" baking pan. Dump all ingredients into blender and process until smooth (or use a mixer). Spread batter evenly into pan (batter will be very thick). Bake for 30 minutes. Cool completely before serving. Was wondering what to make for Bible study tomorrow and I just found some almond butter hiding at the back of the cupboard. Thanks! What are the carb count? THANK YOU , YOU ARE A BLESSING! i PROBLEM WITH BAKED GOODS IS ALWASY TOO MUCH “EGGY” TASTE. iS THIS DIFFERENT THAT MOST IN THAT RESPECT? and I alwasy wonder if it has to have so any eggs or would it work with “flax eggs” and not have the eggy taste? I didn’t have almond butter, so I used 1 cup of walnuts and 2 Tbs of coconut oil in my blend tec and a little bit of water until it was creamy like a nut butter…..worked great! Tasted great! Ate it this morning in a mug warmed up with almond milk and a Tbl spoon of Lily’s dark chocolate chips….so yummy! Thanks for sharing! Great article. I made this tonight and it was incredible! It didn’t taste strange to me at all….would never know it had such good ingredients and no sugar. I actually ate a piece slightly warm with whipcream on top and it hit the spot! Thank you! Where did you find the xylitol? I made this today with half nut butter and half peanut butter, I didn’t have almond. It’s very good! Made this on the weekend. It was really good! It rose beautifully and tasted great! My husband didn’t realize it was a THM style recipe. Thanks so much! I really enjoy your recipes. They are always good and maker friendly. It would be so great if many of the posted recipes that look so good, had all of the counts that we need posted at the bottom of them instead of having to figure everything out all the time! How much Stevia would be equivalent to the xylitol called for? 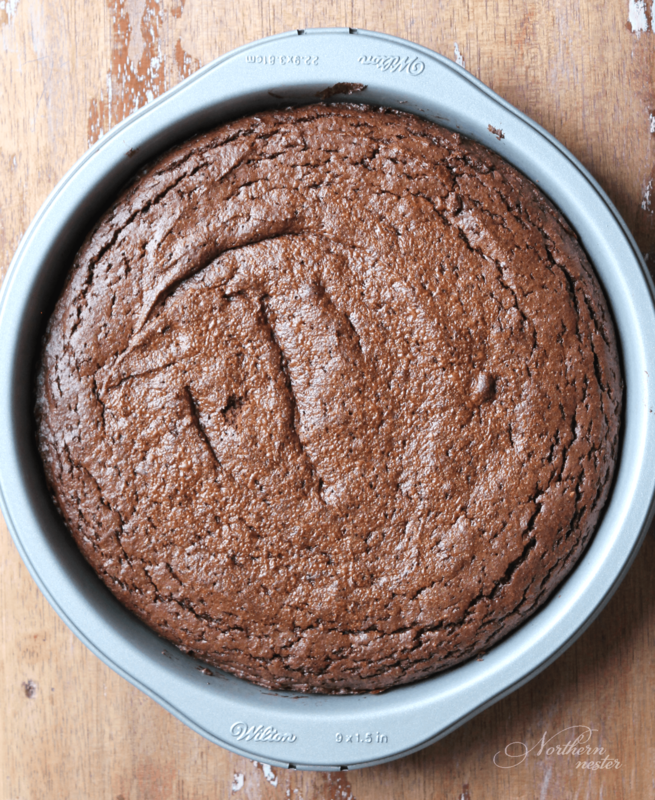 This is exactly the brownie I’ve been craving – tender and cake-like, just as described. I really can’t get over how well they turned out. And so ridiculously easy to make. (I sweetened with 1/2 cup granular Swerve.) Thanks for the great recipe! Where are the macro listings? Must know carbs. Thank you. I want to say thank you for all of your wonderful recipes on this blog! Prior to finding your blog, we were really struggling with THM recipes and finding dishes my whole family likes. Now we enjoy so much more, and with no special ingredients. Again, thank you!! About this recipe, do you measure the 1/3 cup coconut oil when it is solid and then melt it? Or do you melt first and then measure 1/3 cup of liquid coconut oil in a liquid measuring cup? This mama is expecting baby #3 right now and wanting to have these so badly! Thanks! These really surprised me. Their texture and taste is awesome!! Thank you for sharing the recipe!! Yet again, another delicious recipe. I just shared it on both my Facebook pages and I’m getting ready to share it on my Twitter and Instagram, too! I added shredded coconut and used a mix of crunchy almond and peanut butter (I ran out of almond butter). I also used the espresso powder and I’m glad I did! You’re making the act of living a gluten-free/sugar-free life a very easy thing to do. THANK YOU! This was delicious! I will definitely make it again. My husband loved it. So easy to make. I put mine in a pie plate and so I think next time I’ll bake it for 25 minutes instead of 30 but other than that it was great! !